Since 1979, Attorney Irv Cantor has been dedicated to the families of those who have suffered serious injuries or wrongful death. His work has resulted in more than 1,750 favorable verdicts and settlements for his clients - including more than 450 traumatic brain injury cases. He has recovered more than 50 verdicts and settlements larger than $1 million for injured men and women in Richmond and throughout Virginia and the U.S., securing their futures and their peace of mind for the rest of their lives. Irv has been recognized by his peers as one of the Top 10 Virginia Super Lawyers every year from 2012-2016. He was voted Plaintiff Personal Injury Lawyer of the Year in Richmond by Best Lawyers in America in 2014 and 2016. The vast majority of Irv’s cases are referrals from other trial lawyers. Many professionals in the field have asked Irv to represent them in their own injury cases, including attorneys, judges, claims adjusters, and physicians. 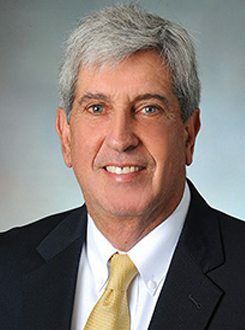 He is a frequent lecturer throughout Virginia and the U.S. to other trial lawyers on numerous subjects, including traumatic brain injuries, truck accident cases, and elements of trial. He is the co-author with Judge Samuel Johnston of the book, The Art and Science of Mastering The Jury Trial. Irv is the founder and President of Jury Impressions, a jury consulting company which, among other services, arrange mock trials and focus groups for trial lawyers throughout the country. Irv also serves as a mediator and arbitrator in a wide variety of cases dealing with catastrophic injuries and death. Traumatic brain injury cases comprise the largest portion of Irv’s practice. He has successfully handled brain injury cases for over 35 years. He wrote the chapter dealing with legal aspects of brain injury cases for the seminal medical textbook on the subject, Brain Injury Medicine. Irv was featured on the cover of the 2015 Virginia and West Virginia Super Lawyers magazine, with the cover story featuring Irv’s career in handling brain injury cases.